If you are into photography then you probably know about the saying “it’s not the camera but the person behind it” Well, in as much as that might be true, there is another angle of looking at it. Every camera is user specific, and each of these machines used to capture moments are built to be user specific with varying specifications that allow the one behind the lenses to take quality and memorable photos with ease and precision. This piece will look at two powerful machines from different companies and attempt to see which one has got the best features. In this battle, it’s a head to head between the Canon sx60 and the Nikon Coolpix p900.The Nikon Coolpix as is name suggests actually takes some of the coolest pictures thanks to its huge 16 megapixel lens which makes it a bit weighty. The camera has a pretty awesome, deep, and contoured grip which makes it very hard to drop thus ensuring protection of this amazing beauty, not to mention the sticky contact surfaces that provide for a better handling of the device with the trigger button at the very top that allows for an easy zooming in and out. Both the scroll wheel and mode adjustment nobs are conveniently located at the top. The camera has the farthest yet zoom capability for a fixed lens cam and its 3 inch LCD screen displays an alternative of EVF/LCD for amazing and quality pictures and videos. The Canon PowerShot SX60 has an equally good grip to it making it a handy companion for photo shoots to be taken on trips, it too is a point and shoot camera meaning it’s pretty portable as well. The Canon PowerShot can record video up to 1080p which means HD definition of 1920 by 1080. It too boasts of a very powerful 16-megapixel lens, which is capable of zooming in far off targets without actually distorting the picture quality. The Canon has a higher max ISO which allows the photographer to take shots in areas that have dim light without extensive exposure. Its special features include the GPS function as well as Wi-Fi and GPS connectivity not to mention the external mic and remote that can be connected to the device. - Bright 3-inch vari-angle LCD plus an electronic viewfinder | Capture stunning 1080p HD video in MP4 format with a dedicated movie button and zoom while shooting. - Please Note: A tripod can be used in certain situations to keep the camera steady. The Nikon P900 has got a pretty large zoom especially considering the bridge camera market, however this only helps it market itself but doesn’t necessarily mean it’s got better image quality. The camera is only decent for up to 400 ISO and this makes the zoom more of a liability at the end of the day. However, it does have some upsides such as the added NFC and the eye detector . 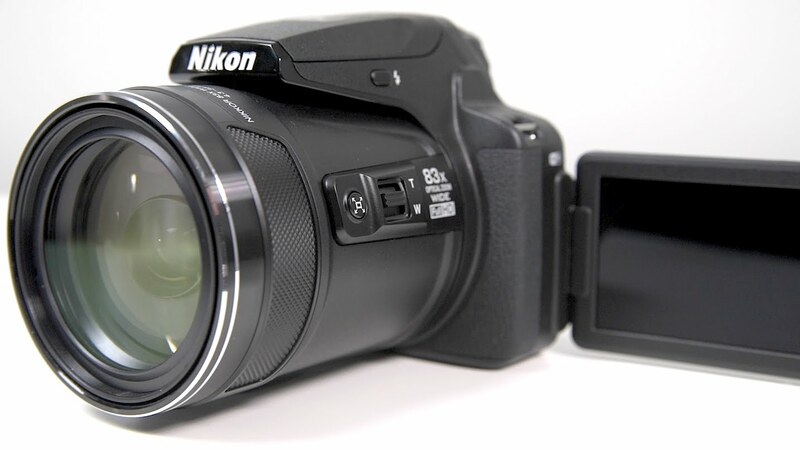 it also boasts of a brighter lens and has faster shooting capability it’s a pretty good camera for users that are less demanding considering its versatility. However in this battle the Canon Powershot definitely takes the trophy since the camera allows for better image video outcomes and usability on top of the new sensor processor and the fast responsive rate.